Need some more information before making your decision? Subscribe to our YouTube channel and our video series “Polycarbonate Glazing Tips”. 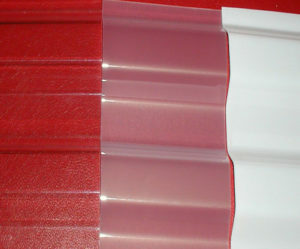 Polycarbonate sheets have been our top choice for greenhouse glazing for quite some time. Compared to other greenhouse glazing materials you will get a much better insulation plus the polycarbonate sheets will last much longer than most other materials. Polycarbonate has many desirable features making it a popular choice for greenhouse glazing. It is 1/6 the weight of glass, 1/3 the weight of acrylic making it easily to handle. The UV coating contributes to the excellent weather resistant quality of polycarbonate, protecting it from yellowing and degradation. It is virtually unbreakable with an impact strength 200 times greater than glass, 8 times greater than acrylic. 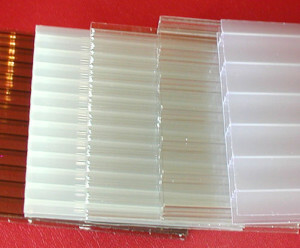 Polycarbonate is also flexible and easy to install. 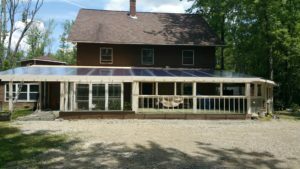 Looking for Polycarbonate Greenhouse Kits? Find them here. 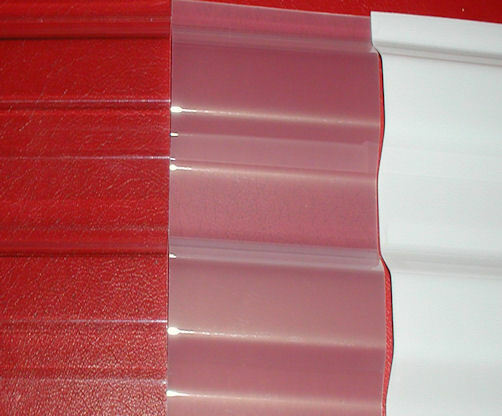 We carry 3 different brands of greenhouse polycarbonate sheets – Polygal, Lexan and our Made in America line. The sheets are available in 4′ or 6′ widths and in lengths anywhere between 6′ and 24′ (unless otherwise specified).To simplify things we have a side by side comparison of each brand in the different thicknesses. At the bottom of the page we have also compiled a list of all of our PDF’s related to polycarbonate. We have a $500.00 worth of sheets minimum. This does not include U’s, H’s, screws, crating or shipping. If your order has less than $750.00 worth of sheets there is a $25.00 small order charge. Please fill in a quote form or email us for a quote. We cannot figure a quote for you over the phone. In order to quote we need the number of sheets, U’s, H’s screws – the sizes and your ship to zip code. We will not calculate a bill of material for you. The person designing the greenhouse is best suited for this. A common question is what is the difference between the different manufacturers. They will have slightly different qualities (light transmission, R value, U value, Shading coefficient, solar heat gain coefficient and solar reflection). Basically, it has been our experience that for greenhouse glazing purposes they will perform comparably with the exception of the Lexan thermoclear plus which has a higher warranty and should out perform the others. The Lexan Thermoclear Plus warranty states that the light transmission will not vary more than 2% in ten years. All of our other sheets carry a warranty that they will not vary more than 6% in light transmission. All of our sheets have UV protection one side. This is to protect the sheets from breaking down from the sun. All of our 8mm clear and some of our specialty sheets have the anti – condensate coating. This is a coating which will cause any condensation to sheet off, rather than forming droplets on the inside of the greenhouse. All of our sheets have a 10 year warranty against light transmission variance and hail damage with the exception of the Lexan greca corrugated sheets. They only carry a 5 year warranty on hail damage. Pricing is per square foot plus crating plus shipping. polycarbonate ridge 10' 6" x 24"
polycarbonate ridge in 10'6" x 24"